Karen, who lives in Surrey, contacted our LEaP Project in January for help with a school transport problem. 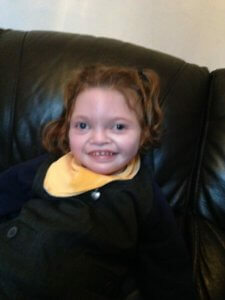 Her daughter, Amelie, is 11 years old and has Phelan McDermid syndrome. The local council had been providing transport for Amelie to go to a special school for children with severe and profound learning difficulties. When Karen told the council that they were moving to a new address, within 3 miles of the school, the council said that she needed to re-apply for transport. Karen explained in her application that Amelie wasn’t able to walk to school because of her complex needs. But the council decided not to provide transport, because Karen had help from carers and access to a car, so she was expected to drive Amelie to school or accompany her on public transport. We wrote a letter to help Karen appeal the council’s decision. The letter explained that the council had a legal duty to make transport arrangements for Amelie, who couldn’t be expected to walk to school or travel by public transport, even if Karen accompanied her, because of her disability. The letter also pointed out that parents can only be expected to accompany their child along a walking route, not by car. At first, the council refused Karen’s appeal and insisted that she had ‘means and resources available’ to get Amelie to school. With our support, Karen contacted a manager at the council to demand a fuller response, which specifically addressed all the health and safety issues she had raised. A few days later, the council phoned Karen and agreed that Amelie was entitled to transport because of her special educational needs and disability. Karen had to challenge the council twice before getting transport for Amelie, because the council didn’t consider her appeal information properly. We know from our experience on the LEaP Project that some councils have refused transport twice or three times before putting things right. If you’re in a similar situation, you can read our Parent Guide on School Transport in England and use our updated school transport template letter to challenge a decision. We also have a parent guide and template letter for parents in Wales. If you’re still unhappy after using the council’s appeals process, you also have the right to complain to the Local Government & Social Care Ombudsman or the Public Services Ombudsman for Wales. Has your child been refused a continence assessment at home? Has your local continence team told you that they can only assess your child at a school/hospital, rather than at home? Our new template letter could help you to make a complaint. Our Legal Entitlements and Problem-Solving (LEaP) Project helps families who are struggling to get the support they need from health or social care services. A parent recently contacted the Project for advice about her son’s continence assessment. She had been told that the assessment had to take place at her son’s school and that home assessments weren’t possible. She was also told that the supply of nappies would stop if they weren’t able to attend the assessment at the school. The family wanted the continence team to be more flexible and consider giving them the option of an assessment at home, because of their son’s complex medical needs. We wrote a template letter to help the family make a complaint to the local health authority. Our letter explains that public bodies must act reasonably and where they have the power to do something, they must be prepared to act flexibly, instead of adopting rigid policies. We wanted to share this template letter with other families who might find themselves in a similar situation. We have separate versions for England and Wales. Is your child getting unsuitable continence products? Have you been told that your child can’t have the type of continence product that she needs? Are you concerned about the quality of the products you use? Read on to find out what you can do to make sure your child gets suitable products. Our Legal Entitlements and Problem-Solving (LEaP) Project helps families who are struggling to get the support they need from health or social care services. We helped Louise get continence products for her daughter, Rhiannon and asked the Welsh Government to make sure that its guidance did not set a daily ‘maximum’ on the number of products available to families. We also know from our work with families that the type and/or quality of products can cause problems too. We recently heard from a parent who wanted ‘pull-ups’ for her daughter instead of nappies. She was told that her local health authority didn’t supply them and she contacted the LEaP Project for help. We wrote a template letter to help the parent make a complaint to her local health authority. Our letter quotes from the relevant guidance, which makes it clear that children should be assessed and provided with products which meet their individual needs. We wanted to share this template letter with other families who might find themselves in a similar situation. So, if you’ve been told that your child can’t have the products s/he needs, you can use our template letter to make a complaint. We have separate versions for England and Wales. Have you been told that you can’t have more than 4 continence products a day, even if your child needs more? Read on to find out how to get the products you need. Our Legal Entitlements and Problem-Solving (LEaP) Project helps families who are struggling to get the support they need from health or social care services. Last year, we told you how we had helped Louise get continence products for her daughter, Rhiannon, who’s 9 years old and has Wolf-Hirschorn syndrome. The local continence service had told Louise that it couldn’t supply more than 4 continence products per 24 hours, even though Rhiannon needed more because of her condition. We noticed that the Welsh Government’s guidance on continence products contradicted itself – one part said that the number of products supplied would depend on a child’s individual needs, but another part said that there was a strict limit of 4 pads per day and that families who needed more would be told to buy their own. We wrote to the Welsh Government’s Cabinet Secretary for Health to highlight the problem and we were told that the guidance would be reviewed. We’re very pleased to report that the Welsh Government has published a Welsh Health Circular , which has replaced the old guidelines with the new ‘Guidance for the provision of continence containment products to children and young people’. The Welsh Government accepted our argument that the strict limit of 4 pads per day was “inconsistent with public law principles and a breach of children’s dignity and it does not take into account the need for a full assessment”. The new guidance makes it clear that while four pads per day may be enough for most children and young people, the number of products supplied to families should always meet a child’s individually assessed needs. If you’ve been told that there’s a limit on the number of products you can have and you live in Wales, tell your local continence team about the above guidance and/or use our template letter to make a complaint. We also have a separate template letter for parents who live in England. In this article we explain our Legal Entitlements and Problem-Solving (LEaP) Project with the Centre for Law and Social Justice, the School of Law, University of Leeds. Disabled children and their families sometimes need extra support in order to have a normal everyday life – for example, help with bathing or eating, moving around or communicating. Local councils and the NHS have legal duties to meet these needs by providing support, such as someone to help with personal care at home, specialist equipment, adaptations, short breaks or therapy services. However, we know from our work with families that, in practice, parents often struggle to get the right support for their children and a lack of support can harm the health and well-being of the whole family. The LEaP Project aims to find out why families struggle to get the help that they’re legally entitled to and what can be done to change things. We want to learn more about the problems families face, so that we can work out ways of overcoming them and helping families to get the support they need. The Project is led by Luke Clements, Professor of Law and Social Justice at the University of Leeds. We invite families to tell us about the problems they face in getting the support they need. With expert support from the team at the University, we provide legal information and advice to help families overcome those difficulties. We help families to understand what their legal rights are and what they can do if they fail to get the support they need. We also use the information we get from individual cases to write template letters, factsheets and guides, which can help other families in similar situations. When we see from our casework that several families are having similar problems, we ask our student volunteers at Leeds to study this problem in more detail (often by doing a survey) and then produce a report with ideas about how policy and practice can be changed to avoid these problems in the future. Past projects have looked at short breaks, school transport and disabled facilities grants. Then we use the knowledge gained from our advice casework and student-led projects to improve our understanding of why these legal problems occur and to work out practical ways of overcoming them. We want to find out which problem-solving techniques help families to cope better with the challenges they face and how councils and the NHS can change the way they work. (1) We’ve attracted funding from the Economic and Social Research Council and from Leeds University, which has enabled us to fund a PhD student, develop our Problem-Solving Toolkit (see below) and fund a research assistant post at the University. (2) In 2013 and 2014, we published compilations of our advice letters (the ‘Digests of Opinions’) to help other families in similar situations. (3) In 2016, we published a report about ‘short breaks statements’ (these statements are published by councils in England and explain how families can get breaks from their caring responsibilities). The report considered how accessible and accurate these statements were. (4) We published a guide for families in 2016 called the “Accessing Public Services Toolkit”. The Toolkit describes some of the common problems families face in dealing with councils and the NHS and suggests ways of solving those problems. A second edition was published in 2017, along with a separate version for families in Scotland. We’ve developed an ongoing programme of workshops across the U.K. to share the Toolkit with parent groups. (5) In 2017, the student volunteers at Leeds interviewed a small number of families who had applied for a disabled facilities grant to pay for home adaptations. We published a report called “Disabled Children and the Cost Effectiveness of Home Adaptations and Disabled Facilities Grants”, which considered the benefits of investing in these adaptations, including cost savings and improvements in families’ well-being. The report was launched at a conference at the University of Leeds on 12 July 2017 and resulted in meetings with senior members of Leeds City Council, the NHS Leeds Clinical Commissioning Group Partnership and Foundations (the national body for Home Improvement Agencies), along with an article in the Guardian newspaper. (6) On 12 July 2017, the Project Team also launched a research report called “Local Authority Home to School Online Transport Policies: Accessibility and Accuracy”. This report explains how difficult it is for families to find accurate information about school transport on council websites and how some transport policies are more restrictive than they should be. 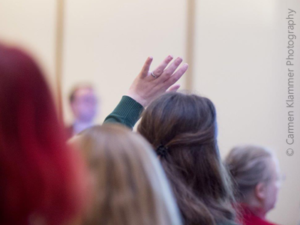 As a result of the report, the team met with representatives from the Department of Education and worked with the charity, Contact, on their inquiry into school transport, including giving evidence to a select committee at Parliament. The Department for Education has decided to review its guidance for councils on school transport and it is planning to produce an accessible template for council websites, so that school transport information is more easily available to families. The team has been asked to share its research data with the Department to help with this work. (7) As a result of our casework, the Welsh Government has agreed to make its guidance on continence products more clear, so that families are no longer told that they can only have a maximum of 4 products a day. (8) We’ve helped families in England and Wales get the services they need – and persuaded councils to change their policies so that other families aren’t disadvantaged. We’ve built on our casework by publishing parent guides, for example on school transport for England and Wales, so that we can share the lessons we’ve learned with many more families. We’ve also published a series of template letters and factsheets for parents to use. We will continue to support families and draw on their experiences to help us plan our research and publish resources which help other families in similar situations. In 2018, our student volunteers will look at three research topics – how difficult it is to apply for a disabled facilities grant, how well the direct payments system works for disabled people and what social care charges disabled people have to pay for their care costs. We also want to investigate how policies and practices within councils and the NHS can sometimes make it more difficult for families to get the support that they’re entitled to. We’re developing a detailed research plan, which will involve working with councils and the NHS to explore why these barriers exist and what can be done to remove them. We hope to get grant funding in 2018 for this important study, so that we can help to introduce changes within these organisations which will make it easier for more families to get the support they need. A survey has found that about half of local authorities in England do not make application forms freely available for home adaptation grants – known as Disabled Facilities Grants. The law imposes strict timescales for the processing Disabled Facilities Grants (DFGs) – but if local authorities withhold the application form, they can deny individuals their right to apply for a grant and stop the ‘clock ticking’ for the purposes of the statutory timescales. Given the prevalence of the problem identified by the research it suggests that the Secretary of State for Housing, Communities and Local Government should use his powers to ensure that failing local authorities act in accordance with the law and relevant guidance (para 5.11). The Research was funded by the disabled children’s charity Cerebra and undertaken by students at the School of Law, Leeds University under the supervision of Professor Luke Clements with support from the Access Committee for Leeds a Disabled People’s Organisation with national expertise in home adaptations. Last year a similar research project, concerning adaptations to family homes to accommodate the needs of young people with Autistic Spectrum Disorders suggested that adaptations of this kind were highly cost effective (that an investment in adaptations amounting to £300,000 had avoided social services expenditure of about £1.5 million – ie a five-fold return on the investment). You can read the 2017 report here. A survey has found that many disabled people are unable to afford to keep a pet dog or cat due to the impact of council charges made for their social care support. A survey of 46 English social services authorities found that eight out of ten would not make allowances for pet care expenses ‘in any circumstances’ when calculating the charges disabled people were required to pay for their social care services. For many disabled people their pet is of incalculable importance to their sense of well-being. Many experience severe isolation and for many their pet is their main companion. The report outlines the evidence suggesting that pets can have profoundly beneficial impacts on key measures of well-being: physical, mental and emotional – as well as providing for many a sense of security. This research appears to be the first concerning the impact of local authority social care charging on pet owning disabled people living in the community. Despite the evidence concerning the generally positive impact of pet ownership on well-being and the many social policy references to pet ownership as a potentially innovative mechanism for addressing eligible social care outcomes for disabled people, no local authority had a written policy concerning the treatment of such expenditure (para 7.07). Only five authorities (11% of the sample) indicated that such costs could be taken into account ‘in any circumstances’ – although on analysis it appears that nine (19%) would in fact be prepared to consider such costs ‘on a case by case’ basis (para 7.07). Local authority charges that ignore pet care costs will subject disabled people to severe hardship. After paying their council’s social care charge, disabled adults under pension age are likely to be left with no more than £75.25 per week (and in some cases as little as £48.17) from which they are expected to pay for (among other things) their food, gas, water, electricity, telephone bills, travel costs, clothing, house repairs, equipment purchase, insurance expenses and recreational activities (para 4.04). The research recommendations include that the Secretary of State for Health and Social Care require that where reasonable pet care costs be taken into account for charging purposes (by amending the list of items in the Statutory Guidance at Annex C para 40). The Research was undertaken by students at the School of Law, Leeds University as part of the School’s Cerebra Legal Entitlements and Problem-Solving (LEaP) Project and pro bono programmes under the supervision of Professor Luke Clements and Sorcha McCormack. In this article we take a look at our Legal Entitlements and Problem-Solving (LEaP) Project – why we started it, what we do, what we’ve achieved so far and the longer term impact of our work. You can find out more about our LEaP project here. Our LEaP Project helps Rhiannon get the continence supplies she needs and our template letter could help you to write to your local health board. 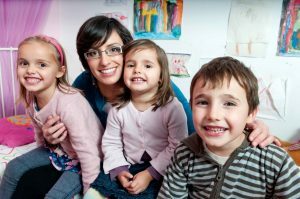 Our Legal Entitlements and Problem-Solving (LEaP) Project supports families who are struggling to get access to health or social care services. Louise contacted us for help with getting continence products for her daughter, Rhiannon, who’s 9 years old and has Wolf-Hirschorn syndrome. Louise and Rhiannon live in North Wales. The local continence service had told Louise that it couldn’t supply more than 4 continence products per 24 hours, even though Rhiannon needed more because of her condition. Louise was also concerned about the quality of the nappies, as the adhesive fasteners seemed to be aggravating Rhiannon’s skin and would often break off. We told Louise about some guidance published by the Welsh Government , which describes the level of service that patients can expect to receive. This guidance says that the ‘4 a day’ maximum is just a general rule and that the actual number of products supplied will depend on a child’s individual needs. The guidance also says that families can ask for a re-assessment if their needs change. Louise took our advice and asked for a reassessment. During our research into Louise’s problem, we noticed that another part of the guidance said that there was a strict limit of 4 pads per day and that families who needed more would be told to buy their own. We wrote to the Welsh Government’s Cabinet Secretary for Health to explain Louise’s situation and highlight the contradiction between the different parts of the guidance. In response to our letter, the Welsh Government asked the local health board to address Louise’s concerns. It also agreed to update the guidance to make it clear that the number of nappies supplied should always meet a child’s assessed needs – in the meantime, it agreed to contact every health board in Wales to explain the guidance, so that other families weren’t told that they could only have 4 products a day. The health board’s head of nursing contacted Louise and we’re pleased to report that Rhiannon is now getting the nappies that she needs. The local continence team has told Louise that it will review Rhiannon’s needs on a regular basis. Do you live in Wales? Has your local continence team said that you can’t have more than 4 continence products a day, even if your child needs more? If so, use our template letter below to write to your local health board. Please change or delete the green text as appropriate. My [son/daughter] [name] is [age] and s/he has [disability/condition]. I was recently told by [name of person] that [child’s name] is only entitled to a maximum of 4 continence products per 24 hours. However, [child’s name] needs more products than this because [explain why your child needs more because of their condition]. This means that whilst the health board can have a ‘general rule’ of 4 products per 24 hours, it should always supply enough products to meet a child’s assessed needs. I understand that the Welsh Government’s Chief Nursing Officer, Professor Jean White, is arranging a review of this guidance to make this meaning clear to all health boards. – provide a sufficient number of products to meet his/her assessed needs.